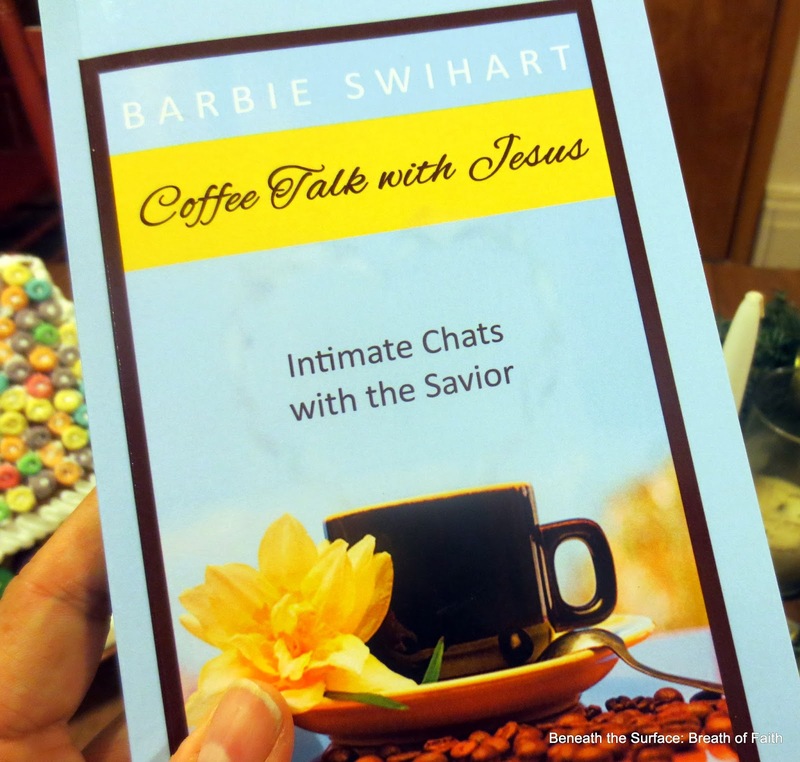 Join me for Coffee Talk with Jesus – Turbo! 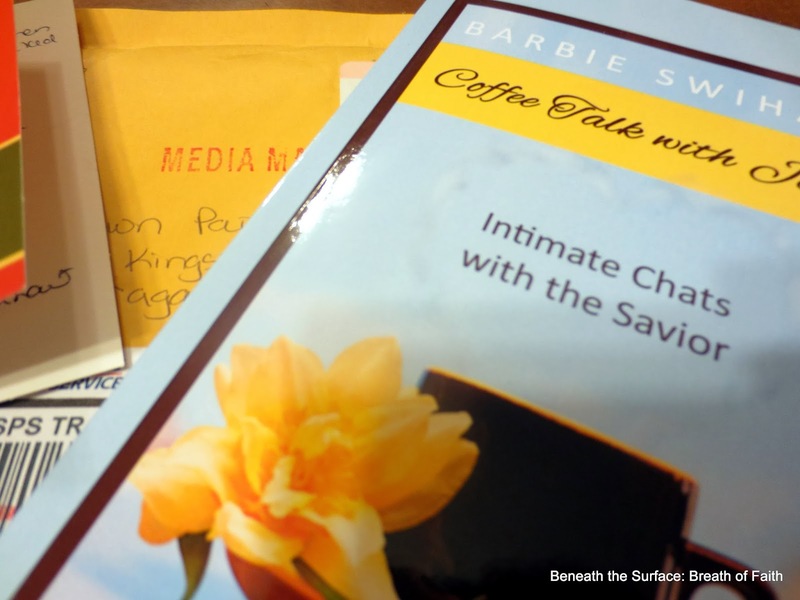 Last month I was blessed and surprised to receive my very own, signed copy of Coffee Talk with Jesus- Intimate Chats with the Savior by Barbie Swihart. I won a copy during the book launch giveaway she held at her blog-Hooray for giveaways! Having gotten to know Barbie, over the past few years, through blogging and also in her position of Managing Editor at 5 Minutes for Faith, has allowed me to enjoy her friendship, leadership and mentoring all online! Imagine the joy of Jesus, when His own kiddos use the internet resources available to glorify Him in these ways! This devotional is a gentle invitation to ease your way into an intimate time of fellowship with Jesus, right now. It is a 31 Day Devotional, but I am proposing that you can read through it at your own pace, or like me- two readings a day, finishing up by the month’s end. I checked Amazon today, and the Kindle version is just 3.99*, while the paperback is 8.09* (If you have Prime, shipping is free). 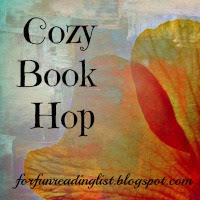 Well, the best way to enjoy a good book, aside of snuggled up in your comfiest PJ’s and favorite reading spot – with a cup of something hot, is to know that you can share your favorite parts, and reflections with a friend as you go, or when you finish! On January 31st, we will gather here for a very special time…“Coffee Time with Barbie”! We will share insights, reflections and any thoughts we had about the book, or reading, right here on the blog -via the comments. This devotional readings are short and grace-filled reminders of God’s presence, faithfulness and love, followed by some questions for you to ponder, pray and reflect upon. Also included are a few lines for your own thoughts, responses, and prayers. Consider it a turbo shot of espresso for your faith this January- deliciously perfect for sipping slowly, and enjoying with a friend. Oh, and for those who love coffee, there are some wonderful coffee infused recipes for you to try! I hope you will grab the book, or if you already have it -join me for two readings a day, or reading as you feel led. Also, there will be a special additional surprise on the 31st. No, I can’t tell you what it is, because it’s a surprise. Silly! *Prices subject to change- as you know. I am not an Amazon Affiliate as they do not allow RI residents to be affiliates at this time. Boo! However, I do enjoy Prime membership. Please check your favorite bookseller for availability! Love this kind of mail! Oh friend, I'm exciting about this. Thank you! You bless me! I'm going to share this! I love your enthusiasm for this devotional! Looking forward to hearing more about your journey in January.